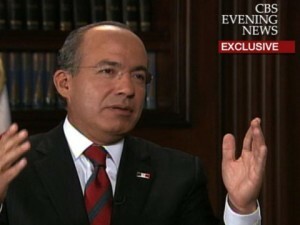 WASHINGTON — The issue of allowing U.S. federal agents stationed in Mexico to carry guns is expected to surface when Mexico’s President Felipe Calderon comes to the White House Thursday, the Washington Post reports. The anticipated conversation over guns comes in the wake of a shooting last month in which an ICE agent was murdered and another wounded as they traveled in northern Mexico. Both were assigned to the ICE attache office in Mexico City. Agents currently are banned from carrying guns. 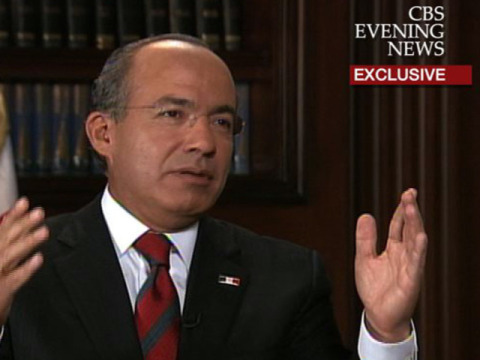 In an interview last week in Mexico, Calderon sharply criticized the U.S. for failing to do enough to reduce America’s appetite for illegal drugs and to address the burgeoning problem of U.S. weapons coming into the country. Posted: 3/3/11 at 8:52 AM under FBI, News Story.